Whether it’s the first time you’ve stepped into our showroom, or you’re a veteran car buyer, we strive to make your experience at Norm Reeves Honda Superstore Irvine an exciting and positive one. We’re proud to serve the surrounding communities of Santa Ana, Tustin, and Rancho Santa Margarita, and we show it by providing top-notch customer service and vehicles. Below, you’ll learn a little more about who we are and what we can do for you throughout your vehicle ownership. Let’s get started by looking at what we have in our new inventory. If you’re the type of person who’d prefer to do a bit of research before investing in a new car, then you’ll feel right at home in our showroom. With hundreds of new, used, and certified pre-owned vehicles to choose from, and a helpful sales team by your side, we’re confident that we’ll be able to find the perfect vehicle for you. Shopping at a well-stocked dealership like ours gives you the freedom to test drive all the options you’re considering, to help determine which car is perfect for you. Additionally, you can narrow down your preferences before you even visit us by browsing our inventory online. The next step in the car buying process is finding financing for your next vehicle. When you finance with us, you’ll work one-on-one with a friendly finance expert who won’t stop until they find a payment plan you feel confident about. Not only will they use their many years of finance experience, but they’ll also use their long-standing relationships with a number of trusted lenders in the area to cater a finance plan to your needs. Want to get a head start on situating your finances for your next car purchase? We have you covered with our free online finance tools. Visit the Finance tab on our website to take advantage of our financial calculators and pre-approval application. Recently, Norm Reeves Honda Superstore Irvine received the President’s Award from the American Honda Motor Company. This award is only given to the top Honda dealerships in America for their commitment to providing excellent and dedicated service to drivers in their area. Dealerships that adhere to rigorous standards and customer excellence are awarded. As a Honda dealership, we’re proud to have earned the President’s Award several years in a row, and we strive to continue with keeping our drivers as the number one priority when they walk through our showroom. Maintenance is an integral part of being a car owner. That’s why our dealership features a convenient, on-site service center that’s staffed with technicians who’ve been trained to work on and replace parts in Honda models. This is the kind of expertise you want for your vehicle because you’ll know that every time you bring it to us, it’ll be in the best of hands. Additionally, you can count on the fact that the tools being used on your vehicle are advanced and state-of-the-art. 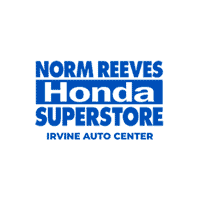 As you can see, Norm Reeves Honda Superstore Irvine is the go-to dealership for those living in Santa Ana, Tustin, Rancho Santa Margarita, and beyond. But don’t take our word for it! Give us a call today or come on down to our dealership and see for yourself what we can do for your car buying and car ownership needs.